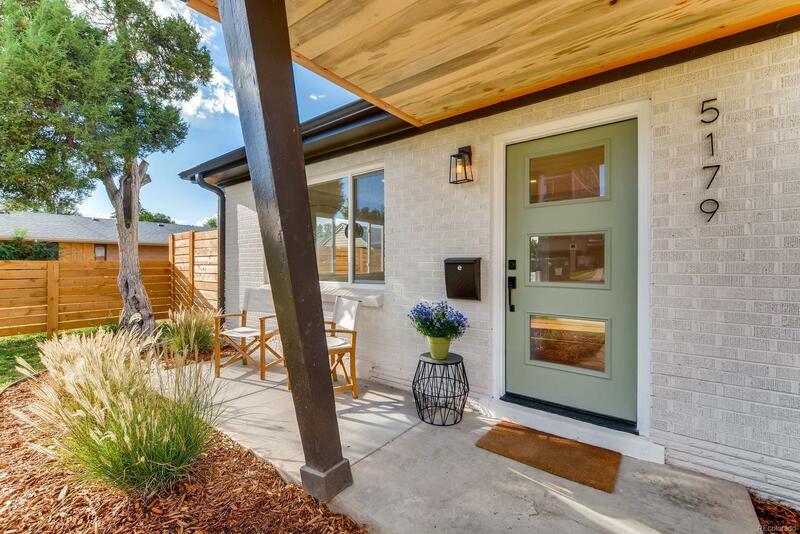 Superbly Remodeled 2 bed/1 bath row-home in Northeast ParkHill. Professionally designed total remodel with High End Finishes! New Doors and Windows, New Furnace and Central Air, New Doors and Trim throughout, refinished hardwood floors in the entire unit. Classy Kitchen with White Shaker Cabinets, Quartz Countertops, Subway tile, Brass hardware. All New plumbing with Upgraded electrical and new main Circuit panels. New Interior and Exterior Paint. Large closet for a washer and dryer. New Fencing. 2 units are available and this is the largest one. End unit with lots of natural light. Big front yard with a sprinkler system and private back yard with new sod and one off street parking space. No detail missed! Great schools and part of the Northeast/Stapleton school zone. Great location too! 2 blocks from Commonwealth Coffee and an easy walk or bike Station 26 Brewing and Stapleton shops and Colorado blvd shops, Rec Center, and Library. This is a good one! No HOA!